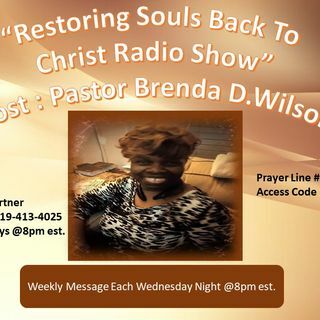 Tune in each Wednesday night on Restoring Souls To Christ Radio Show with your host Pastor Brenda D Wilson!! leave a comment on the message board and thank you for your support! Glory To God!!! We'll be right back @9pm est. God is a keeper and he will keep us in perfect peace whose mind is stayed on him..
Let this mind be in me which was also in Christ Jesus..
Lol..dealing with them hood demons..will make you wanna do that.. It's hard to get people on one accord..so much jealousy and competition..But you confessed that you have that issue..God will fix that for you Pastor Nino. Amen I need the Lord to help my keep my mind when dealing with our people on a business level!! Amen Blessing you to ma'am ! !